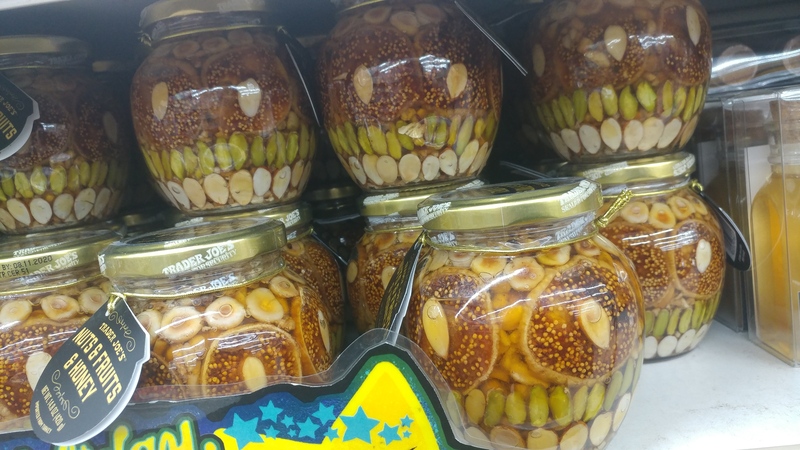 I feel the need to share these festive trypophobia teeth jars with caramelchameleon, and anyone else who happens to like such things. Wow. I was not expecting "the figs and almonds are looking at me funny" to be nearly so literal. Let me know if you would like to actually have one as a belated holiday gift, for that matter. I can't guarantee my brain will manage to do a multi-step task involving putting things in the mail, but I could *try*. Oh right I forgot to set up the emoji reply comment. Well, this one (mine here) can be that if people want! They really do look like jars of teeth! Those are some... striking jars. They're goofier-looking than I was expecting. Aaaaaaaahaughhh I don't even have this phobia and yet these are so creepy. And cute. Like A Nightmare Before Christmas, creepy-cute. Not appetizing, at least to me, though. Trypophobia...that's a new one - can't say I ever felt it. I have missed you bunches since you left Facebook. I left a bunch of comments on your LiveJournal page but soon got the feeling they weren't connecting. When I realized they were crossposts from here I set up an account but haven't decided what to do with it yet. I certainly will use it to keep up with you! I had wondered what you've been doing lately. Sorry, I have indeed been getting (and appreciating) your LJ comments but haven't been remembering to log into two separate sites to respond to things. Still working out the executive function routines for all this. Missed you too. And honestly even if I am getting your LJ comments, there's a lot that's nice about Dreamwidth so I'm happy you have an account here too now! I'm torn between "those are actually very pretty" and "is Trader Joe... alright...?" You should refer to your musing on tryptophobia-inducing foods as "lotus notes". The noms that nom you back!